Wings are not included in this file. You can buy in shop - A Fighting Chance in Imperial City. 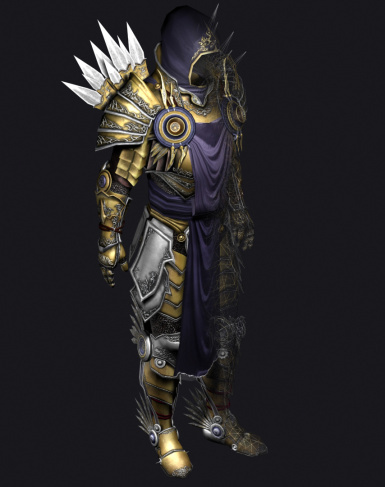 Extract the archive into your Oblivion\Data folder and check the 'Tyrael Armor.esp' in the launcher. Big thanks to Bethesda Softworks. The hand mesh and bones are made from genuine Oblivion game data. If you would like to change my textures, or use my mod in one of your own, please contact me first through the following email.